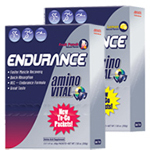 Amino acids are critical to life, and have a variety of roles in metabolism. One particularly important function is as the building blocks of proteins, which are linear chains of amino acids. 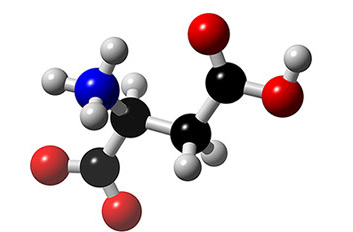 Amino acids are also important in many other biological molecules, such as forming parts of coenzymes, as in S-adenosylmethionine, or as precursors for the biosynthesis of molecules such as heme. 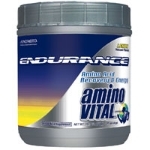 Due to this central role in biochemistry, amino acids are very important in nutrition. BSN has done it again, this time officially cracking the "genetic code" for the critical N-Training "Supplement Timing Window". With Volumaize - the Hypertrophic Activating Myocellular Expander. 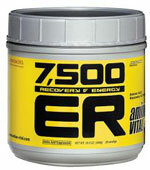 A new category of supplementation, Volumaize is precisely designed to tap into your muscle fibers while you train (N-Training) to boost athletic performance, myocellular growth, myohypertrophic activation, glycogen and essential amino acid super compensation, muscle cell membrane permeability, adenosine-5-triphosphate (ATP, your body's source for quick explosive energy) regeneration, protein synthesis, strength, the working capacity of muscle tissue and recovery.